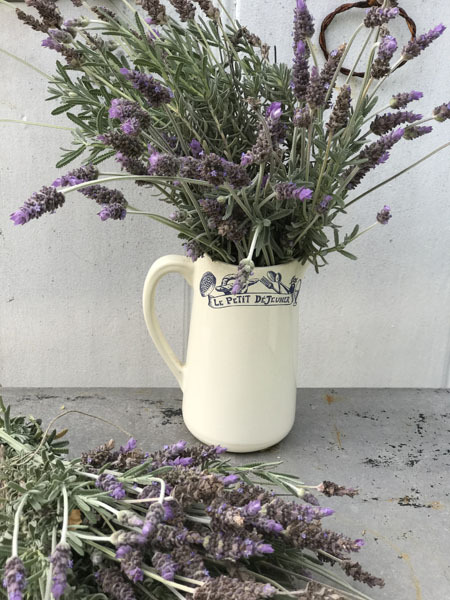 From our favorite atelier in Paris, La Comptior de Famille comes this ceramic water jug. Food Safe. Measures approx 8" T. Very minor chip at spout. These are retired pieces and no longer available. France, New.